How can I subscribe to Purl Soho's newsletter? Just visit our newsletter signup page and enter your email address. 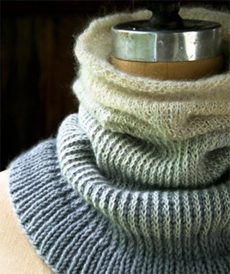 What is Purl Soho's newsletter about? Purl Soho’s newsletter features our latest projects and free patterns, as well as our newest products. It's pretty, informative, and always inspiring! What happened to getting a free pattern download when you sign up for your newsletter? We're sorry, we no longer offer a free pattern download when you sign up for our newsletter. But maybe you'll be happy to hear that instead, when you sign up, you will receive 10% off Purl Soho brand products when you place your first order. We hope this sounds just as good, if not better! Just visit our newsletter signup page and enter your email address. How often will I receive a newsletter? We send newsletters two or three times a week. What else does Purl Soho do with my email address? Absolutely nothing! We only use it to send you our email newsletters... we promise! Will I receive your newsletter if I create an account? Only if you click the "Sign Up for Newsletter" box when you're creating your account.